Student accommodation Trinity College Dublin. Student Information. 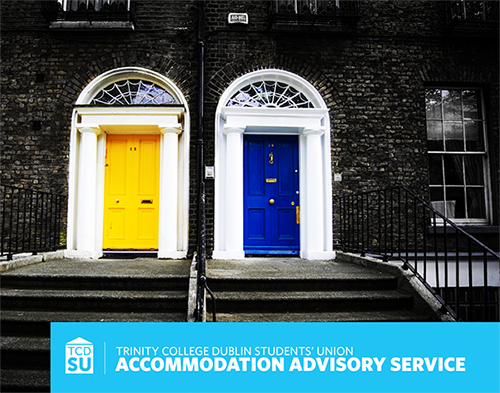 Anyone seeking accommodation is advised to read our FAQ section (click on the above link to do so), and to visit our advisory service on Trinity before signing any lease. Please note that this service is provided exclusively for Trinity students, and the listings can only be viewed on an on-campus computer, or by creating an account on our website with an @tcd.ie email.